The 2018 Dakar Rally came to a thrilling conclusion on Sunday 21 January after a fortnight of punishing terrain that cemented its position as the world’s toughest motorsport event. Of the 92 cars that began the 9,000km raid, 47 were Toyota models. Similarly, by the end of the event it was also noted that almost half of those that crossed the finish line were Toyota models. Among these high-achievers, the Hilux secured second and third place, as well as five positions within the overall top ten – an incredible confirmation of the pick-up’s reliability and durability. Stage 12 was the longest day of the 2018 Dakar Rally, featuring 523km of river crossings and hard roads sprinkled with rocks and brush to punish each competitor’s suspension system. With more opportunities to make up time, this stage was seen as a chance to make a last-ditch push before the final stages. With so much ground to cover, the Toyota Gazoo Racing South Africa (TGRSA) team definitely made it count. 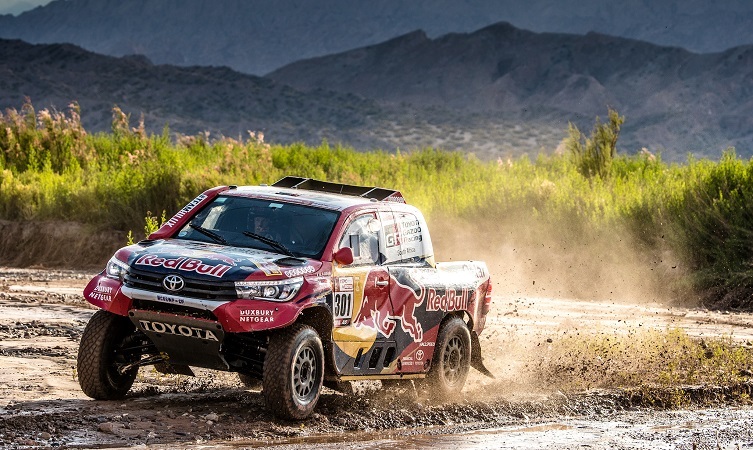 Nasser Al-Attiyah went on an all-out attack in the #301 Hilux and charged so hard that even two puncture repairs didn’t stop him from claiming first place in the stage – his third of the year and the fourth win for Hilux. 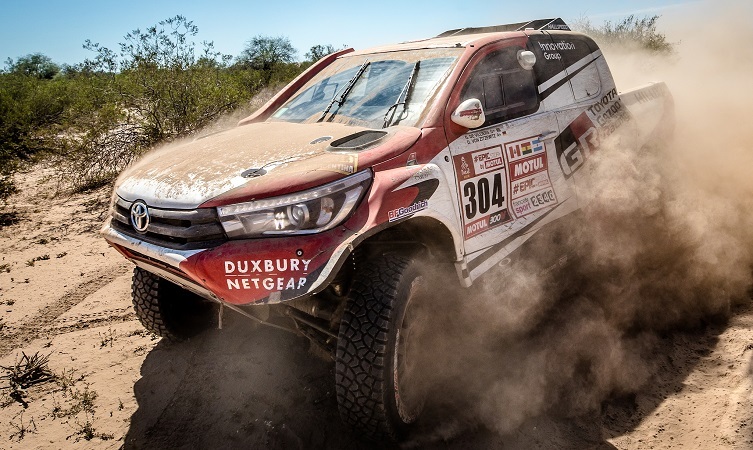 Giniel de Villiers was also slowed by two punctures yet took an impressive third place in the #304 Hilux, while Bernhard ten Brinke found to keep the lead but dropped to a still-respectable fifth place in his #309 Hilux. At this point in the championship, the Toyota Hilux held three of the top five positions. 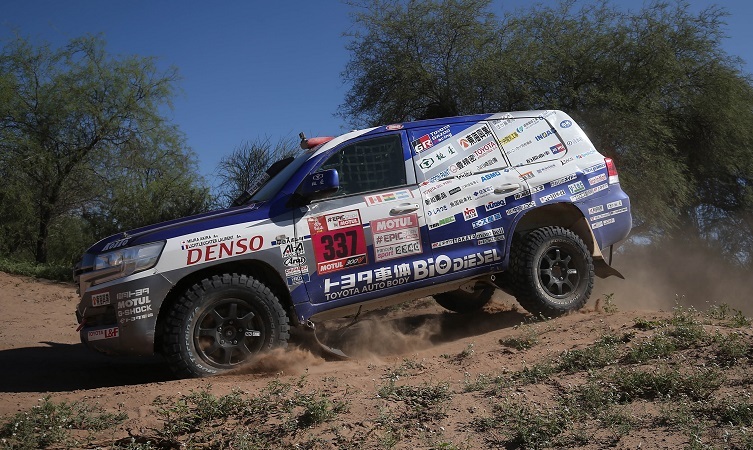 Also deeply impressed with the excellent reliability of his Land Cruiser (above), Akira Miura captured first place in the Production category for the works Team Land Cruiser Toyota Auto Body (TLC) team. 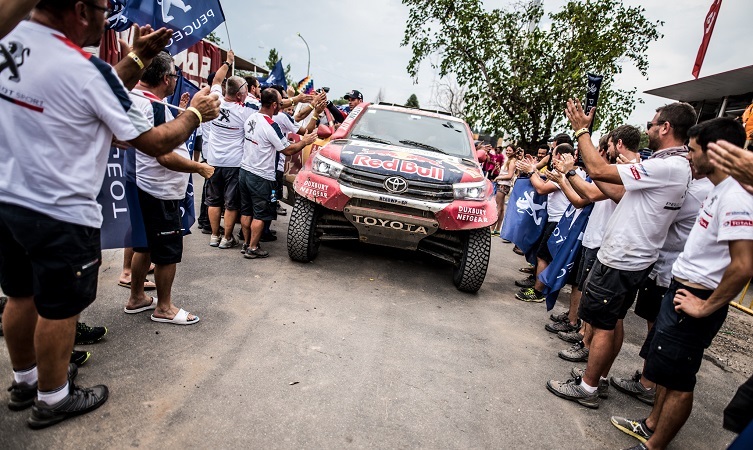 Among the privateers, the #318 Hilux piloted by Lucio Alvarez for the Overdrive Toyota team (above) continued to skirt the top ten with an eleventh-place finish, while Benediktas Vanagas rolled his #323 Hilux into the bivouac in 20th place for the General Financing Team Pitlane crew. He is determined to finish the Dakar and is already beginning his plans for an assault on the 2019 raid. Stage 13 proved to be one of the most thrilling of this year’s raid. It featured 369km of fast trails with patches of hard soil that allowed the machines to regularly achieve maximum speed. 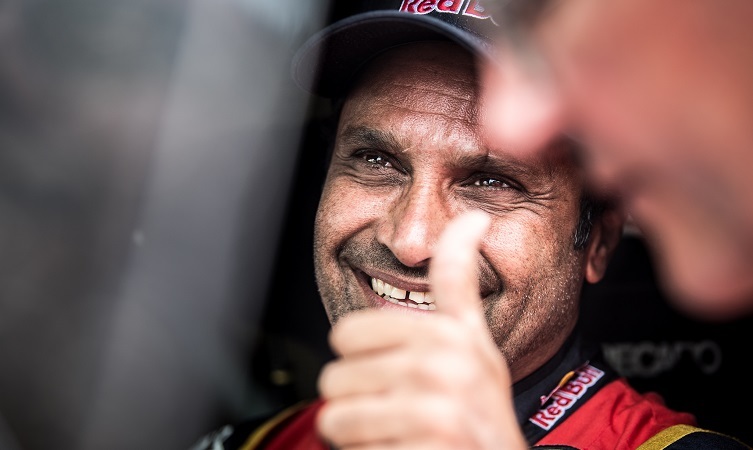 Nobody took greater advantage of this fact that TGRSA’s Nassar Al-Attiyah, who, for the second day in a row, appeared to keep his pedal to the metal the entire length of the stage to race home in first place. By the end of the day he was less than 50 minutes from taking the overall lead. 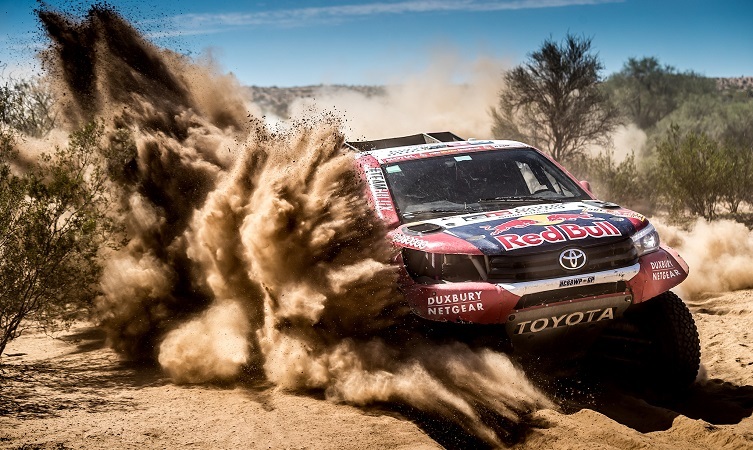 Giniel de Villiers also kept a steady focus throughout the raid and finished in third, while Bernhard ten Brinke’s dream of a Dakar podium was unfortunately dashed after having to withdraw from the race with technical difficulties – in fact, the team’s first engine problem in five years of relentless competition. Another stunning performance was put in by Lucio Alvarez in the #318 Hilux of Overdrive Toyota, who played a game of cat and mouse with Nasser to clinch a best stage position of second. But once again there was no other competitor that could compete with Akira Miura in the #337 TLC Land Cruiser. His first place has now put him within 120km of his first overall victory in the Production category. No doubt the pressure was on for the final stage tomorrow. 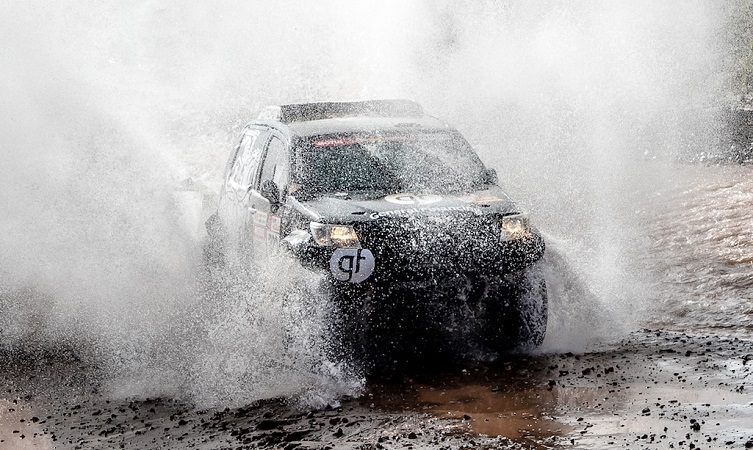 The final stage of the 2018 Dakar Rally took competitors on a 120km loop around Córdoba, taking in multiple river crossings and numerous stone hazards. It proved to be an exciting conclusion as one slip from any of the top runners could have been their undoing. 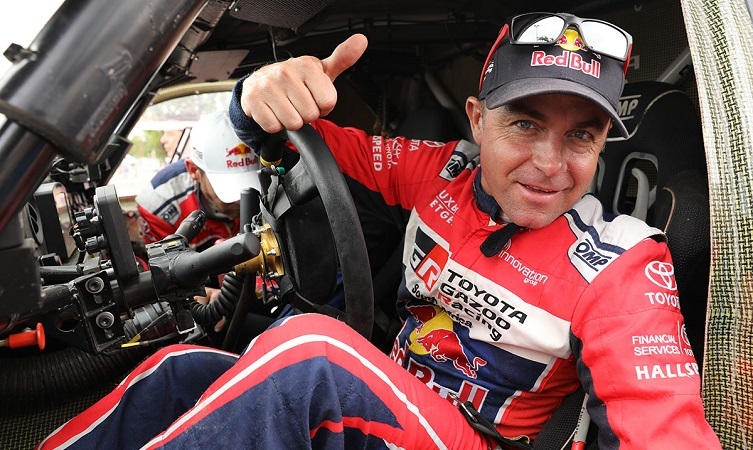 In the end, Giniel de Villiers (above) finally secured his stage victory, the 2009 Dakar winner driving a faultless stage and crossing the line 40 seconds ahead of the next nearest competitor. Not far behind was Nassar Al-Attiyah, who took third. 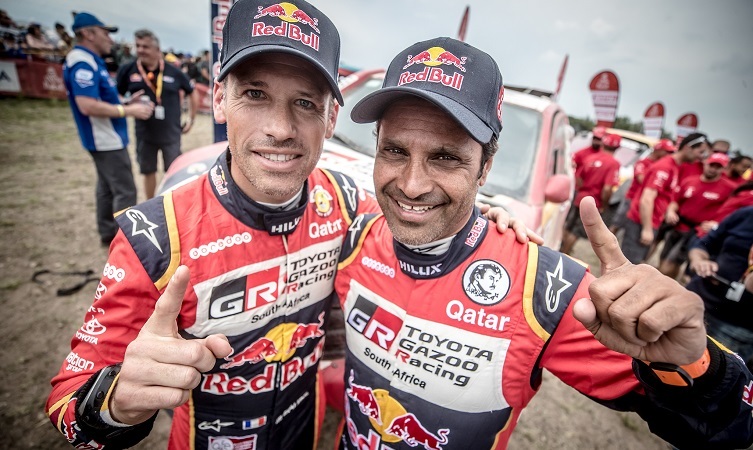 Both final pushes resulted in a double podium finish for TGRSA in the 2018 Dakar Rally, with Nassar in second and Giniel in third. 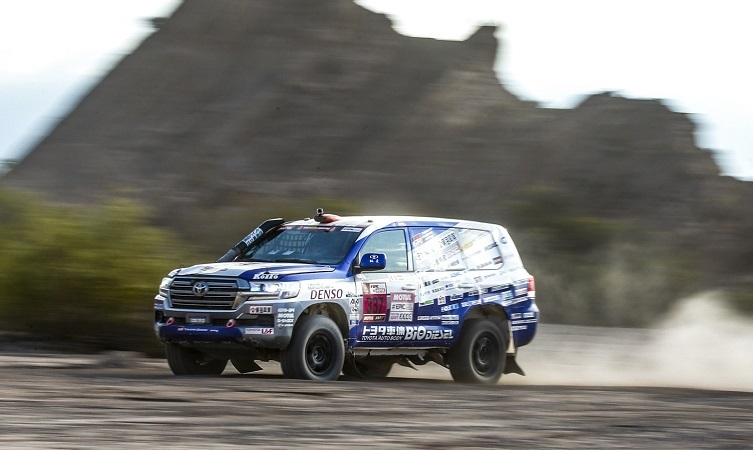 Their Toyota Hilux models took the fortnight of punishment in their stride and provided a constant source of strength that the drivers relied on irrespective of the terrain. Both drivers are already planning how to take their machines to the top in the 2019 rematch. Meanwhile, TLC’s Akira Miura (above) concluded by achieving exactly what he set out to do; to take on the Dakar, perform strongly and bring home the fifth consecutive Dakar win for the works team in the Production class. 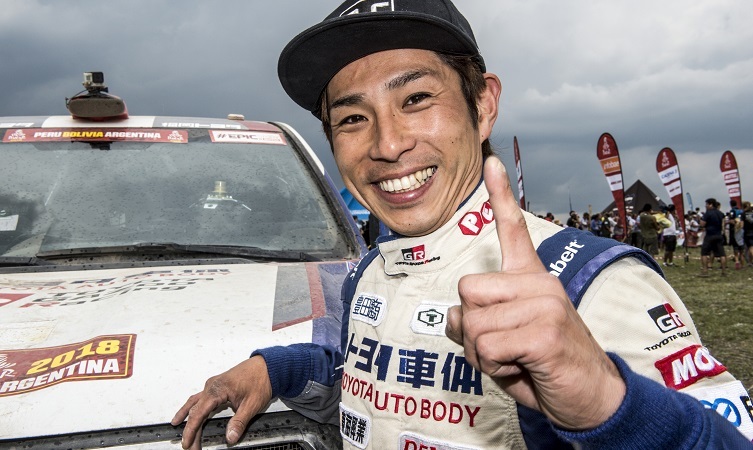 The Japanese driver ended the stage on yet another high – finishing in yet another first place with his unstoppable Land Cruiser. Within the privateers, Overdrive Toyota’s Lucio Alvarez finished fourth in his #318 Hilux for an overall ranking of tenth. Meanwhile, the General Financing Team Pitlane #323 Hilux of Benediktas Vanagas (above, right) finished the overall race in 30th place. The crew had troubles, even losing a wheel on a stage, but failed to let this stop their inimitable Hilux.